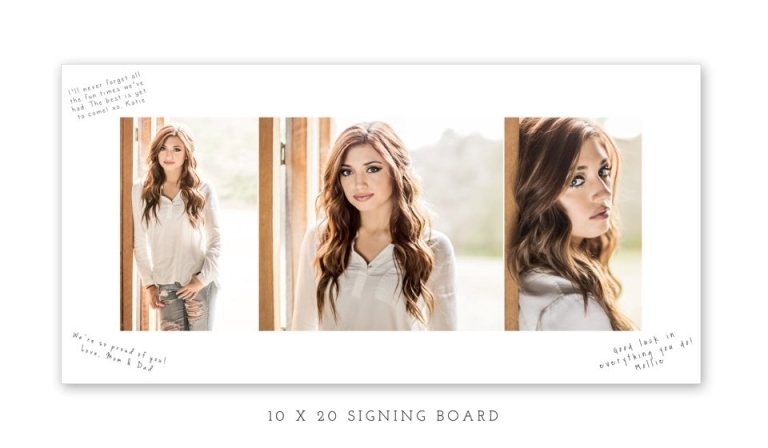 What is the difference between a Story Board vs. a Signing Board you ask? Well, not a whole lot, except for the way that you use it. 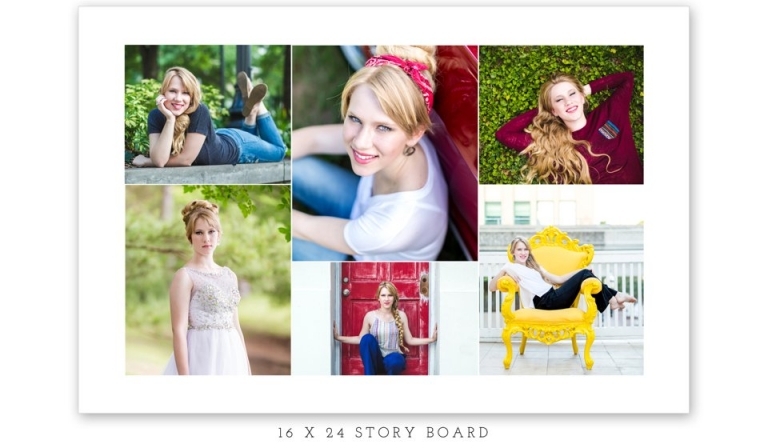 A Story Board is a collage of images that are mounted beautifully so that you can display it on a shelf, mantle, an easel, or any other way that you would like to display it. 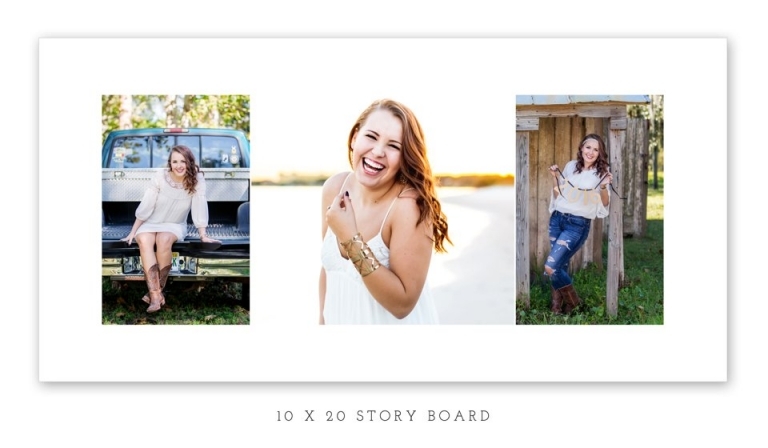 A Story Board can be printed on a variety of paper finishes based on your preference. The Signing Board works best on deep matte paper so that it can receive ink for signing easily. 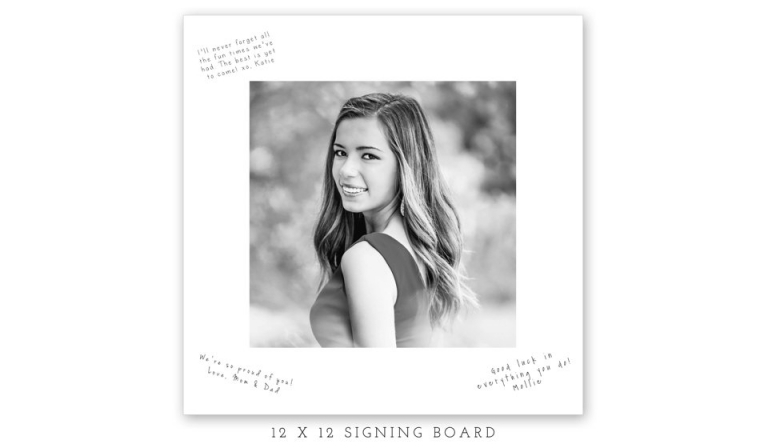 This is a fun option for your graduation party- once you have all of your party guests sign it you can take to college as a wonderful reminder of all the sweet friends and family at home who love and support you and all your accomplishments! 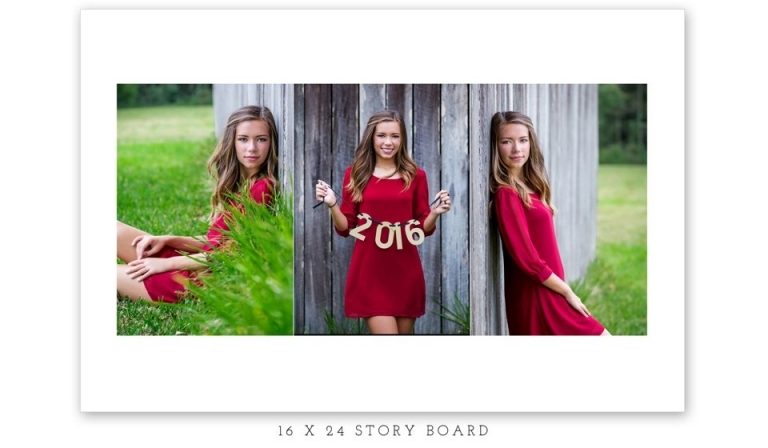 These boards come in 3 different sizes: 10 x 20, 12 x 12, and 16 x 24. Come see a sample in person!